Home / Ayurvedic Products / Patanjali Products / Why is Ayurveda called 'The Science of Wisdom' ? Why is Ayurveda called 'The Science of Wisdom' ? Why is Ayurveda called 'The Science of Wisdom’? 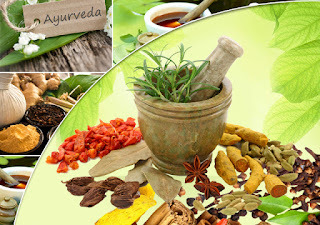 Ayurveda is a 5000 years old medical science from India. This traditional system of medicine is just about preparing medicines but also about adopting a holistic lifestyle. Ayurveda is considered as the Science or Wisdom of Life because Ayurveda has generally 2 names, ‘Science of Life’ and ‘Science of Wisdom.’ The word Ayurveda has been coined from 2 Sanskrit terms; Ayu means life and Veda means science or knowledge in this ancient language. This form of medical science does lot more than healing diseases; it rejuvenates the mind and body. Ayurveda is the union of body, mind, spirit and senses. At present there are almost 4,00,000 registered practitioners in India. Ayurveda sees an individual as a complete entity and also as a part of his/ her surrounding environment. Companies like Patanjali, Himalaya Herbals , Baidyanth, Organic India and Vyas emphasis on overall improvement of the body and mind using Ayurveda. Ayurveda embraces medical science, astronomy, philosophy, astrology and psychology. In present days, the health issues are primarily the result of extreme stress and pollution. So just living on medicines is not the ultimate solution. Ayurveda is a complete fix with its all- natural medicines, exercises and medication which keeps a person fit even after the dose of medicine is over. Ayurveda makes a person amiable with his/ her natural surroundings. So this natural way of treatment gives relief from the spiral of bad health. Ayurveda is the natural source of good health. Harness the power of this natural science in the following ways. This refers to the botanical components of nature which mainly include leaves, roots and flowers. • Ashwagandha- Relieves from stress, anxiety and adrenal dysfunction. 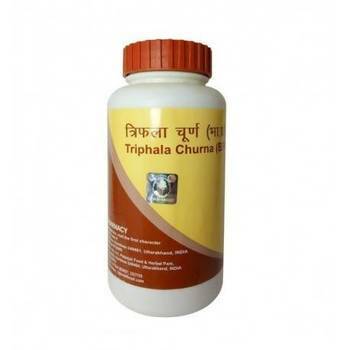 • Arjuna- Relieves chest pain (angina), enhance collagen levels and improve blood circulation. Patanjali Arjun Amla juice can offer relief from health issues like coronary and hypertension. • Curcumin- Solves chronic inflammation, arthritis, depression issues and cleanses arteries. • Triphala- Patanjali Triphala Churna enhance digestive health and improves good bacteria in the gut. • Gymnema Sylvestre- Balances blood sugar levels and treats polycystic ovary syndrome. Ayurvedic oil massages are known to rejuvenate and heal both mind and body. • Sesame oil- Lubricates muscles and tissues. Provides resilience, vigour and vitality to the body. • Bhringaraj oil- Offers hair growth and radiant the skin. The cooling effect of the oil also enables better sleep. 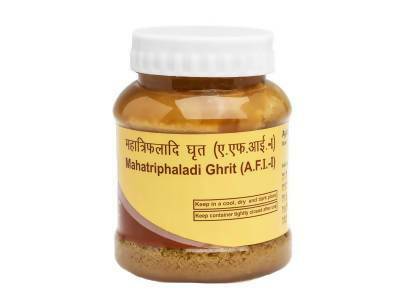 • Mahanarayan oil- Made with 29 Ayurvedic herbs, the oil nourishes damaged muscles and tendons. • Neem oil- The cooling effect of this Ayurvedic potent cleanses and detoxifies the body. It boosts the immune system. • Brahmi coconut oil- This cooling concoction is used during mediation. It improves mental health, memory and concentration. • Amla oil- This herbal hair oil is known to prevent premature greying of hair. Patanjali kesh kanti amla hair oil is made with 100% fresh amla fruits. • Lemons- Reduce body toxins and stimulates digestion. Patanjali lemon pickle is a tasty way to have lime. • Ghee- Calms nerves and aids digestion. For example, Patanjali Mahatriphaladi Ghrit is a herbal form of ghee. • Dates & Figs- Builds tissues and energises the body. • Almonds- Increases strength and energy. • Mung beans- Light food which offers nourishment. So in one line, Ayurveda is the pillar of a long term, sustainable well-being and happiness.